I am a 7-th year PhD student at UCLA and my primary research areas include machine learning, optimization and parallel computing. My advisors is Prof. Cho-Jui Hsieh. During 2015-2018 I was co-advised by Prof. Venkatesh Akella and Prof. Cho-Jui Hsieh at UC Davis. During 2012-2015, I also worked on a few topics in computer architecture and computer networks with Prof. Venkatesh Akella, Prof. Matthew Farrens and Prof. S. J. Ben Yoo. 1. Formal robustness analysis of neural networks: CROWN [ZWC+18] is a generic theoretical framework for robustness verification through layer-wise linear outer-bounds propagation, which generalizes and improves my early work Fast-Lin [WZC+18b]. RecurJac [ZZH19] gives robustness guarantee through a different approach of bounding local Lipschitz constant, outperforming my early work Fast-Lip [WZC+18b] by up to a few magnitudes. Unified source code for all algorithms can be found here. 2. Crafting adversarial examples: crafting adversarial examples on various deep learning applications including image captioning (Show-and-fool [CZC+18]) and NLP tasks. Proposing new formulations for finding adversarial examples including EAD [(CSZ+18)] and Structured Attack [XLZ+19]. Zeroth order optimization (ZOO) based black-box attack [CZS+18] with limited queries [TTC+19] and in non-smooth and non-differentiable settings [CLC+19]. 3. Understanding robustness and adversarial examples: Difficulty on robust generalization and the blind-spot attack on adversarial training [ZCS+19]; Robustness and accuracy trade-off on ImageNet [SZC+18]; local Lipschitz constant based robustness estimation (CLEVER [WZC+18a]). 4. Defense against adversarial examples: through randomization [LCZ+18]. 5. Optimization and scalable machine learning: Zeroth order optimization [LZH+16], asynchronous gradient descent and coordinate descent [ZHA16] [ZH16], distributed and decentralized optimization of neural networks [LZZ+17], extreme multi-label learning [SZK+17], tensor decomposition [SWZ16] and GPU acceleration of gradient boosted decision trees [ZSH18] (part of LightGBM). I also worked on computer architecture [ZAN+14] [SZN+13] and computer networks [YZZ+13] [KPZ+15] during the early years of my PhD. [CZC+18] Attacking Visual Language Grounding with Adversarial Examples: A Case Study on Neural Image Captioning. Hongge Chen*, Huan Zhang*, Pin-Yu Chen, Jinfeng Yi and Cho-Jui Hsieh (* Equal contribution). ACL 2018 (pdf) (code). [KPZ+15] Field demonstration of 100-Gb/s real-time coherent optical OFDM detection, by Noriaki Kaneda, Timo Pfau, Huan Zhang, Jeffrey Lee, Young-Kai Chen, Chun Ju Youn, Yong Hwan Kwon, Eun Soo Num, S. Chandrasekhar. Journal of Lightwave Technology, Vol. 33, No. 7, April 1 2015. [ZAN+14] Burst Mode Processing: An Architectural Framework for Improving Performance in Future Chip Microprocessors, by Huan Zhang, Rajeevan Amirtharajah, Christopher Nitta, Matthew Farrens and Venkatesh Akella. Workshop on Workshop on Managing Overprovisioned Systems, Co-located with ASPLOS-19, 2014. [SZN+13] HySIM: Towards a Scalable, Accurate and Fast Simulator for Manycore Processors by Kramer Straube, Huan Zhang, Christopher Nitta, Matthew Farrenss and Venkatesh Akella.3rd Workshop on the Intersections of Computer Architecture and Reconfigurable Logic, Co-located with MICRO-46, December 2013. 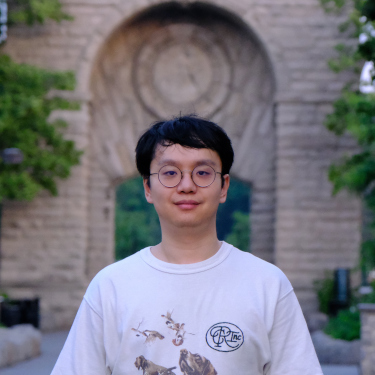 [YZZ+13] Spectral and Spatial 2D Fragmentation-Aware Routing and Spectrum Assignment Algorithms in Elastic Optical Networks, by Yawei Yin, Huan Zhang, Mingyang Zhang, Ming Xia, Zuqing Zhu, S. Dahlfort and S.J.B Yoo. IEEE/OSA Journal of Optical Communications and Networking, Vol. 5, No. 10, October 2013. I developed a GPU acceleration algorithm for LightGBM, a popular open-source package for large-scale gradient boosted decision tree (GBDT) training. I am a maintainer of the LightGBM project. I did some interesting projects during my undergraduate years. They have become non-relevant to my current research but I am still keeping links and descriptions here because I do occasionally get emails asking some details. Click here for a list of my previous projects. Page generated 2019-03-26, by jemdoc.